Unlike other CRM solutions, FIVE CRM enables you to have a telemarketing call center system within the CRM. Manage multiple databases as well as controlling data access by user agent. Built-in functionality for managing call-backs, workflow automation and automated dialing set this system apart from standard CRMs. Conversely, the CRM functionality sets it apart from call center systems. You can have as much or as little on the user interface as required, and each database can be different. 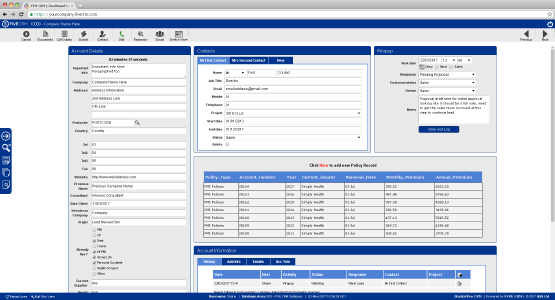 For example, in one database agents may only see a script while in another it is a full CRM 360° view. Likewise with the workflow, one database could be auto-dialing and sending emails automatically while in another database everything is manual. With FIVE CRM you can easily create and update scripts on-the-fly, ensuring your agents with always be up to date and prepared. Eradicate the need for printed scripts and objection handling guides. Finding the right sales pitch is the hard part, once you’ve found it you can easily replicate it and make sure that all your sales team are working coherently, you can make sure that all of your agents say the correct statements. In any telemarketing operation statistics are crucial, whether it’s tracking agents’ calls-per-hour, call outcome analysis or call duration, virtually any report is possible. 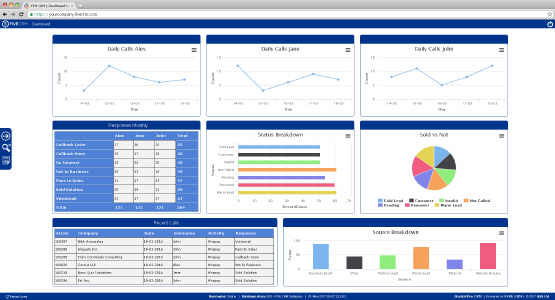 The built-in report writer enables non-technical people to create their own reports without any knowledge of the database structure or intricacies of querying data. List, summary and cross-tab (pivot table) reports can be made very quickly and easily. Reports can also be scheduled so they are emailed regularly at predefined times.